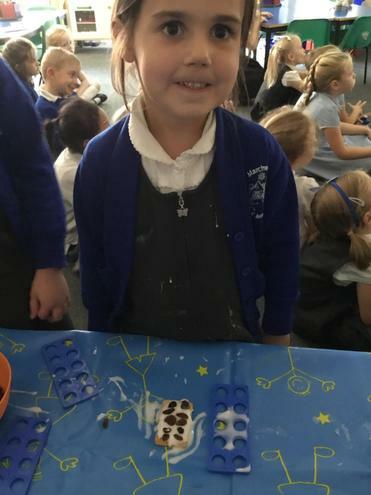 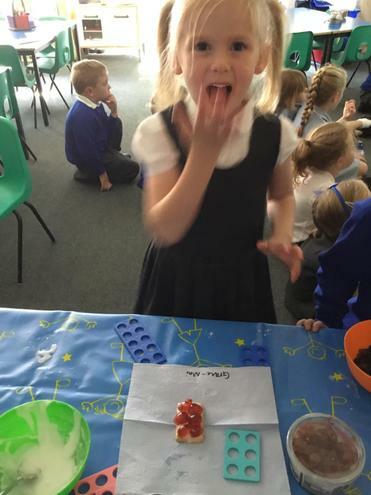 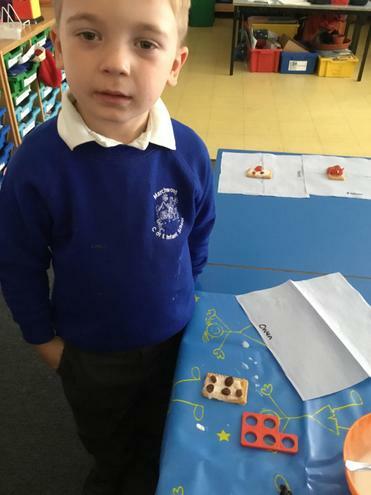 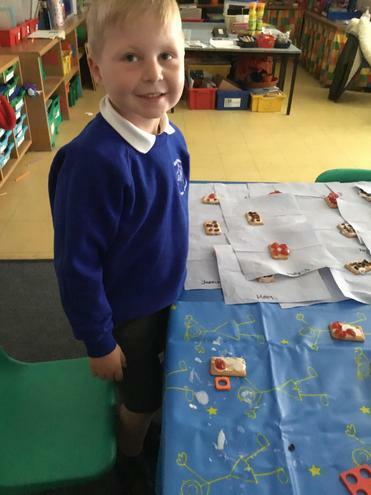 Our Golden Time treat, making the Gruffalo's Knobbly Knees! 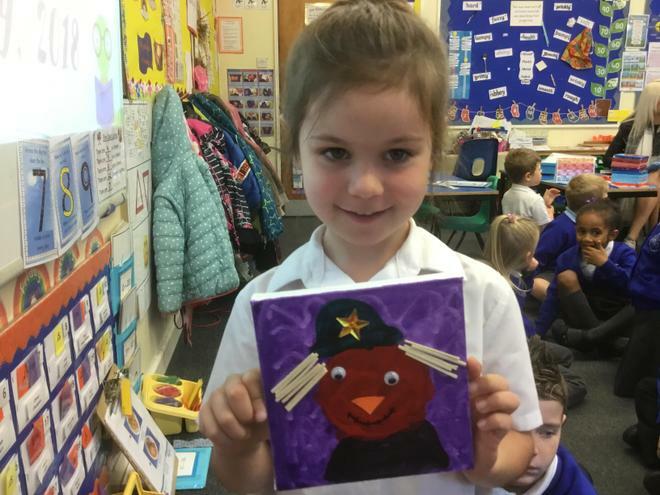 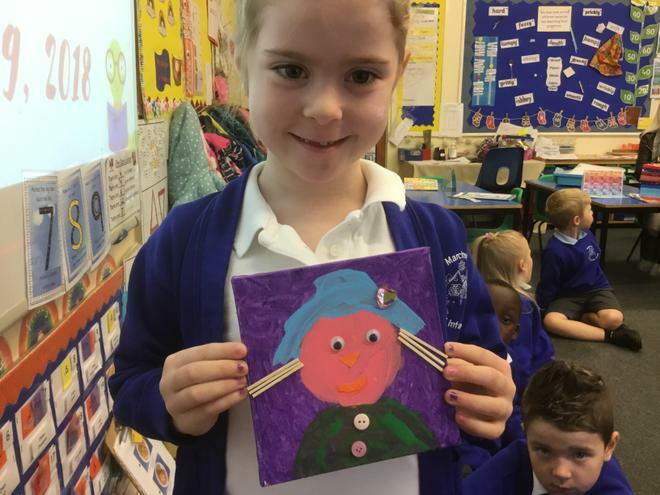 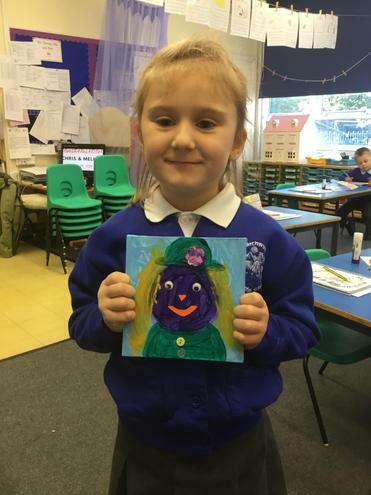 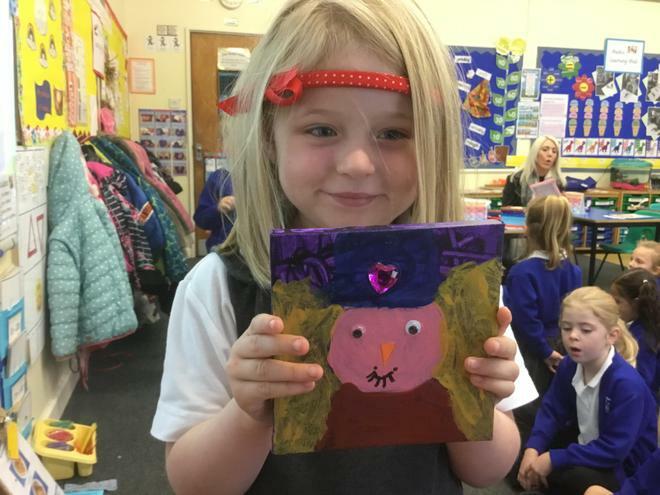 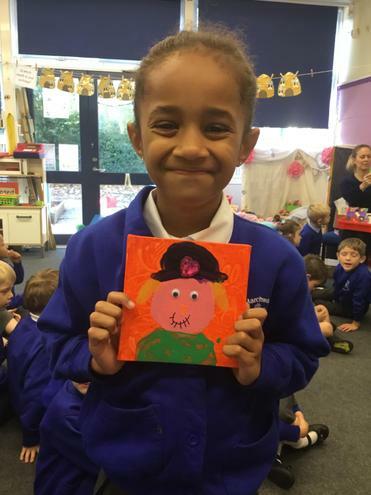 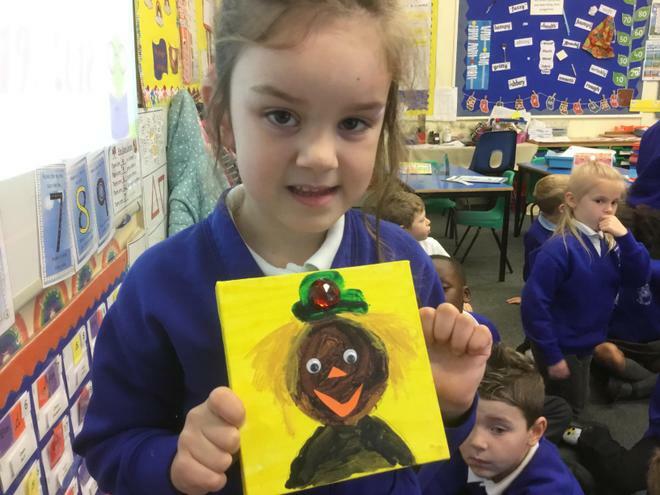 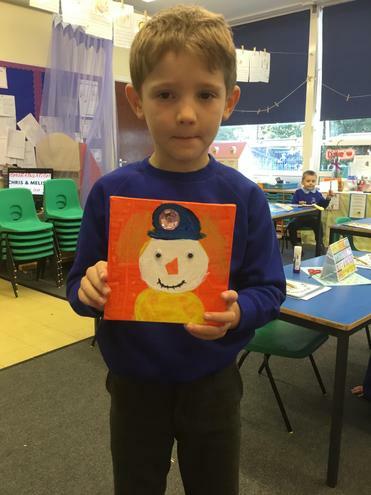 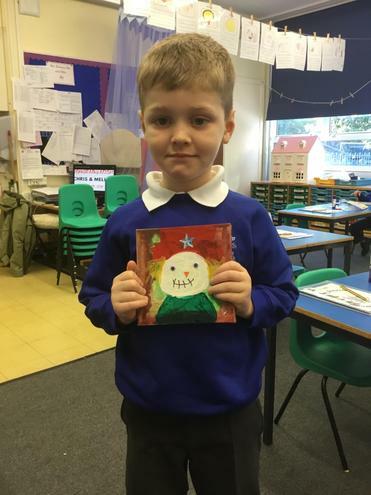 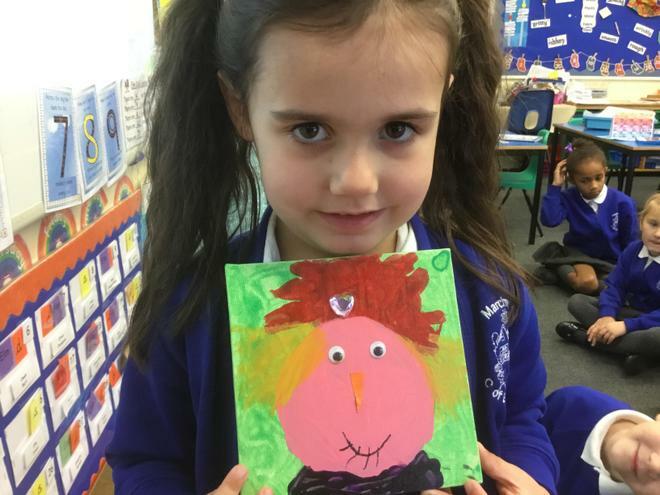 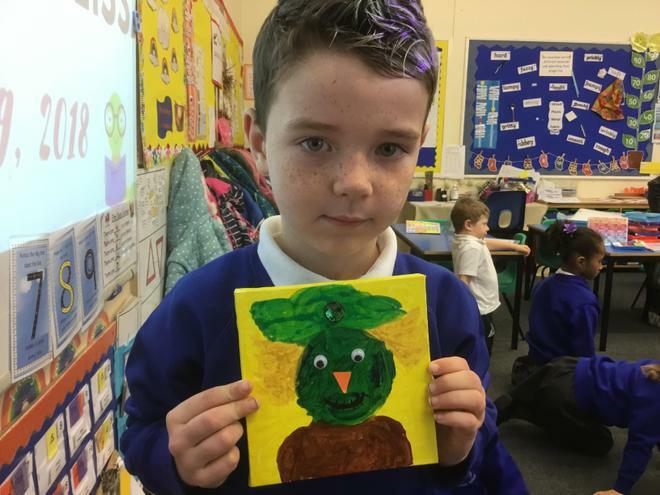 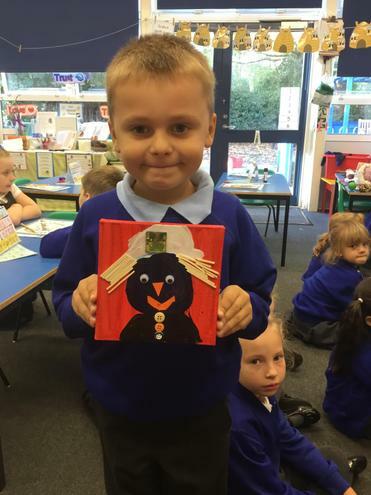 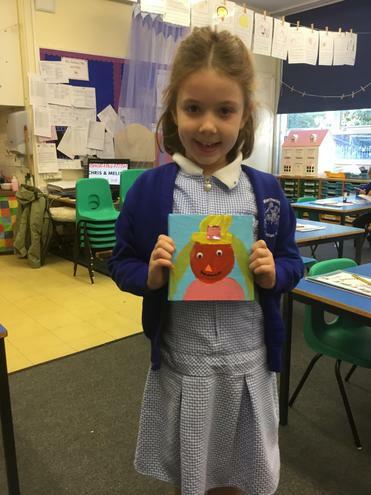 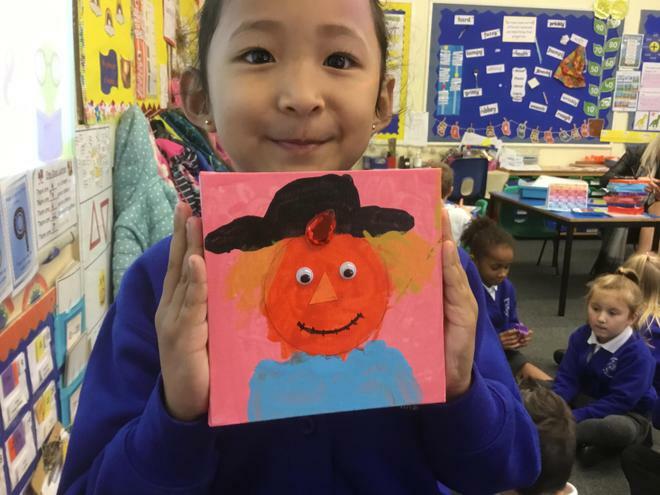 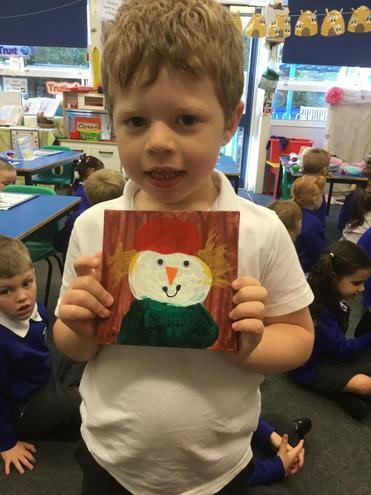 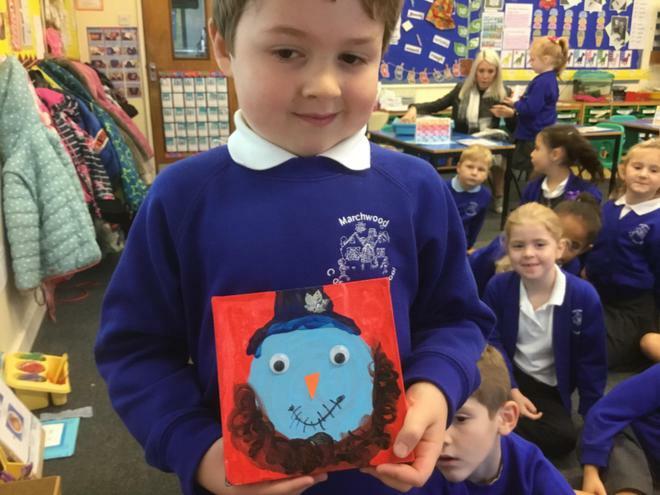 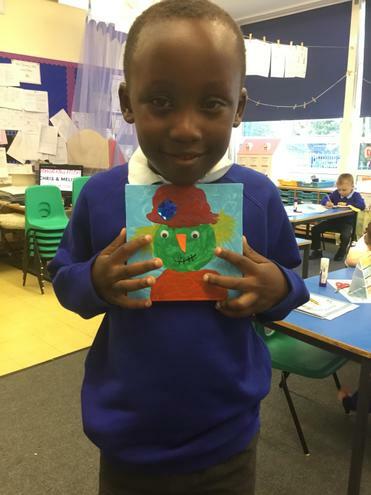 Inspired by our Scarecrows Wedding topic we decided to paint a scarecrow's face on a canvas using acrylic paints. 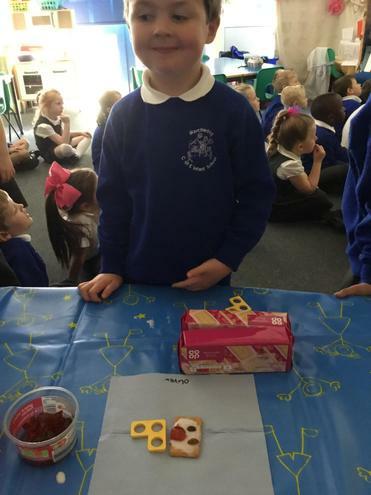 We looked at different ideas from the internet and decided on the ones that were our favourite. 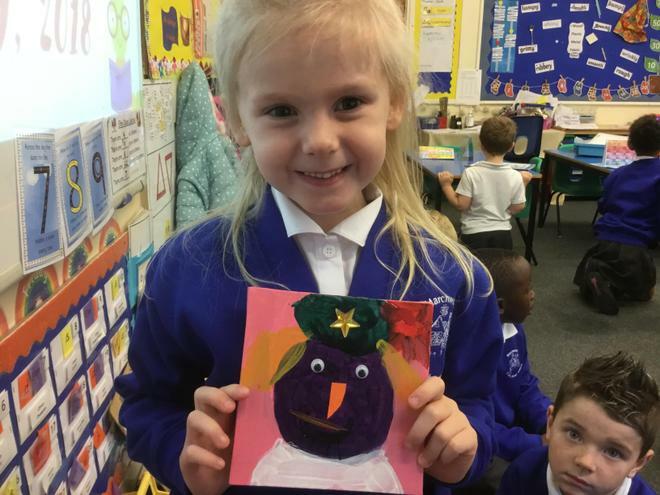 We planned and drew our ideas for our own scarecrows using pencil crayons and a paper plan, we talked about whether we were happy with our design and choice of colours. 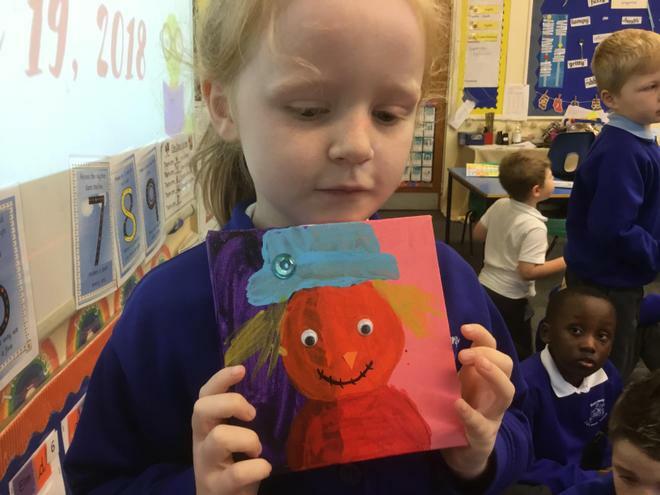 We had to think carefully about choosing a nice, bright colour for the background, and then a contrasting colour for our scarecrows face, some children decided to change their original design so that it looked better on the canvas. 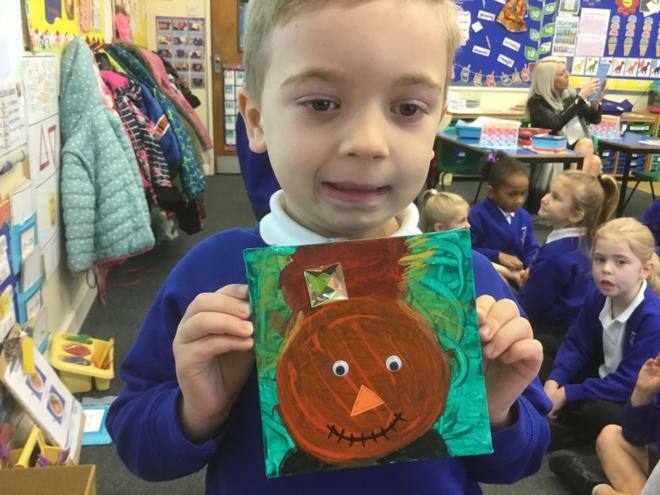 We layered acrylic paints to create our scarecrow and then made it more interesting by adding some 3D details.The children chose whether they would like their scarecrow to be a boy or a girl, they chose which colours to use and they also chose which extra details they would like to use to enhance the look of their scarecrow. 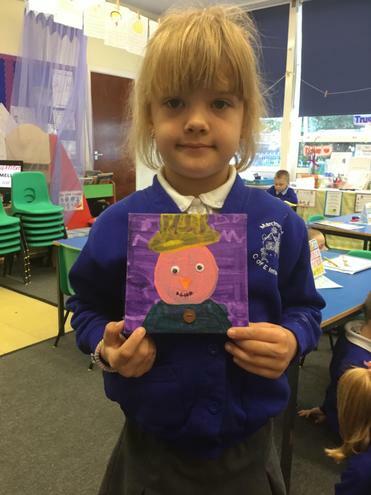 The finished artwork looks amazing, and they are all very unique and individual. 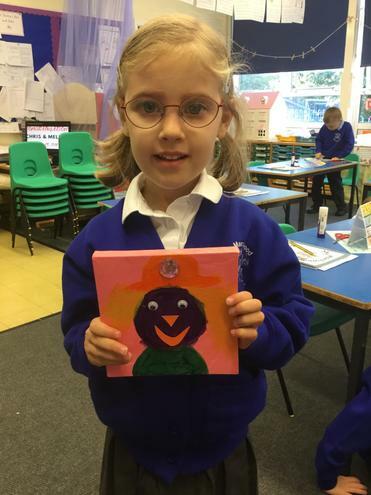 Don't forget we are selling the canvases for £2.00 each at our Scarecrow Afternoon. 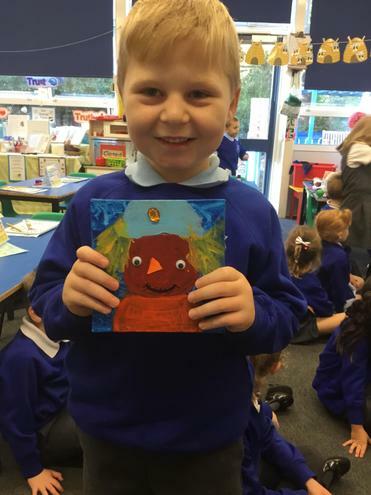 All the money raised from the sale of the canvases will be used to enrich our next topic in school. 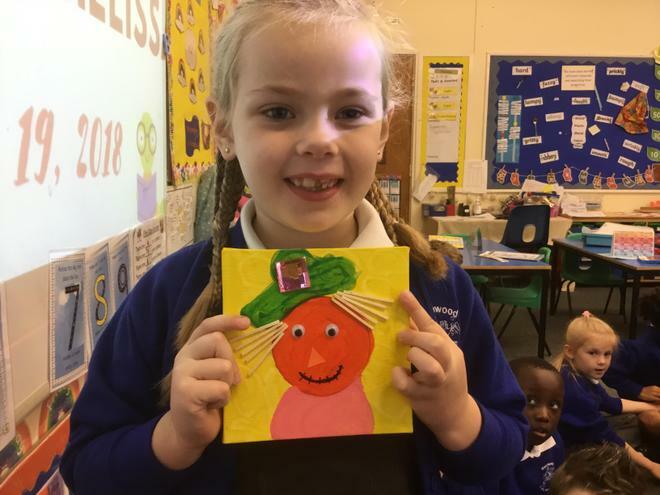 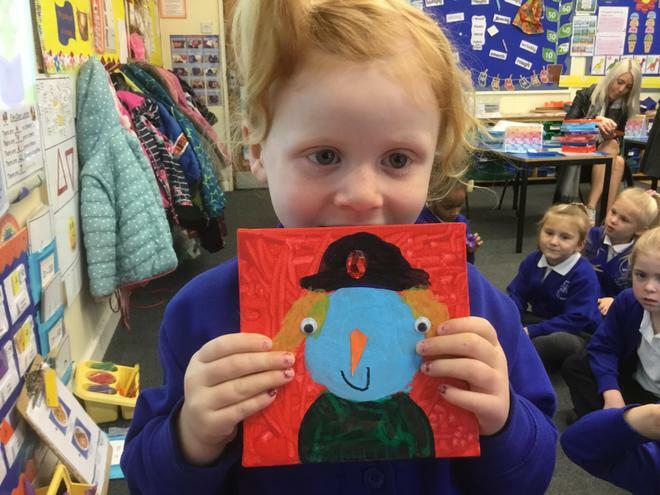 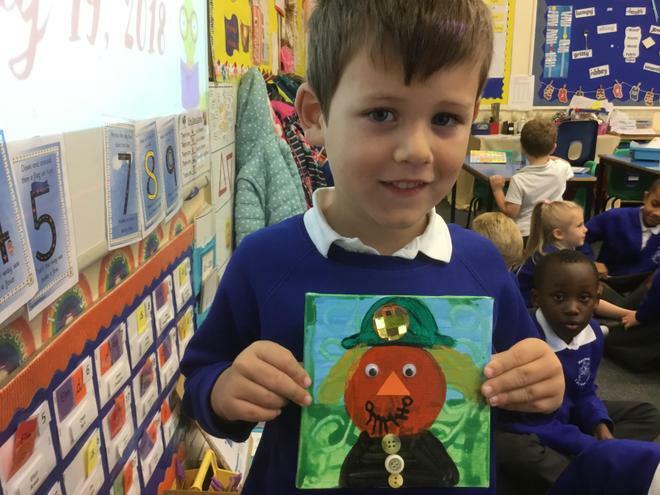 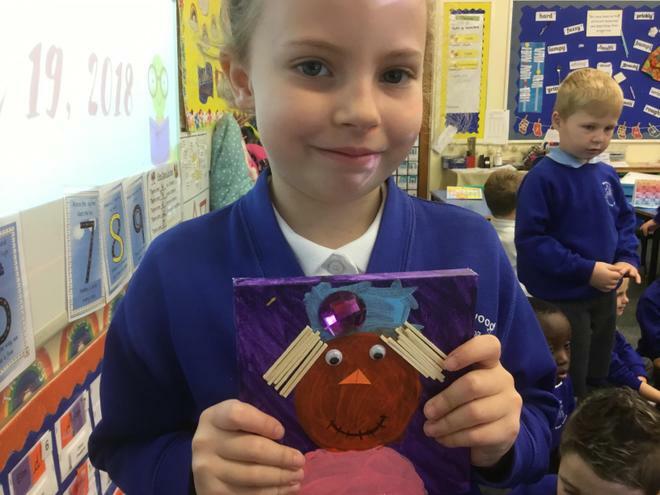 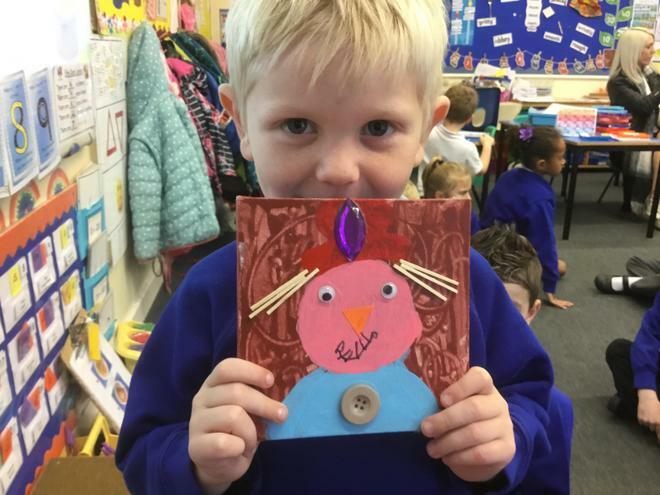 If you can't make the Scarecrow Afternoon, then just pop into Elm class any afternoon after school to view your child's art work and purchase it if you'd like to. 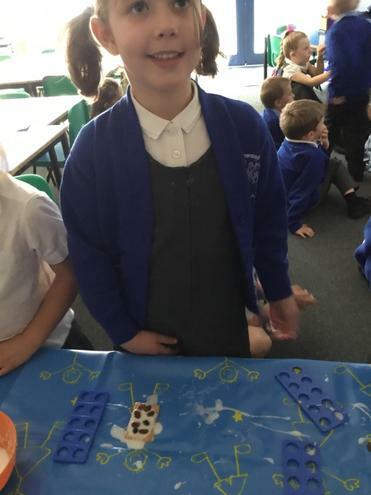 We have been using a great resource called Numicon to help us with our numbers in Maths over the last few weeks. 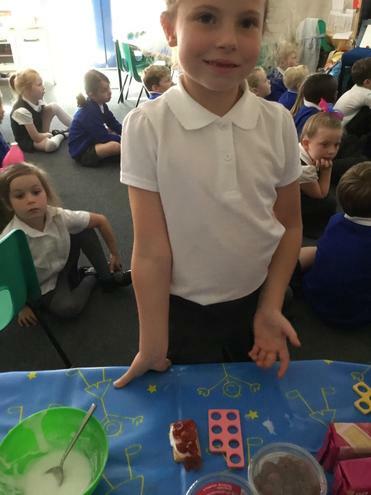 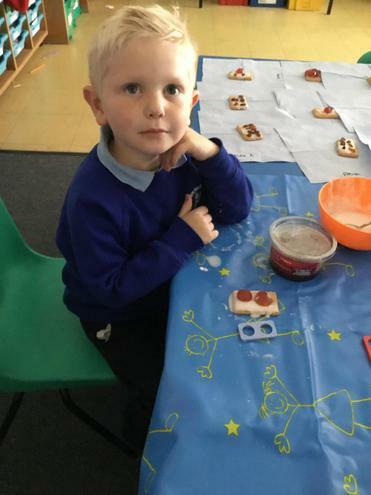 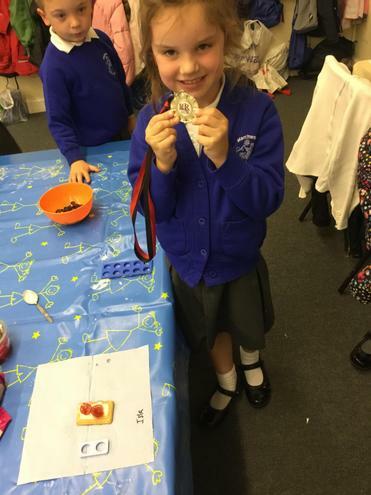 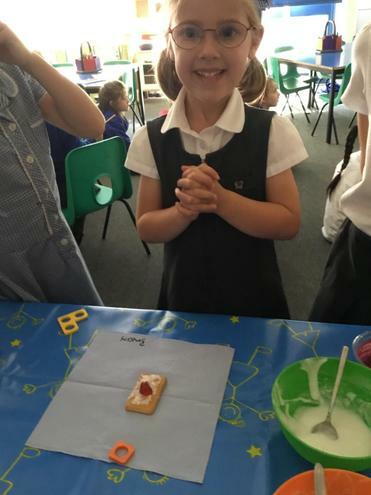 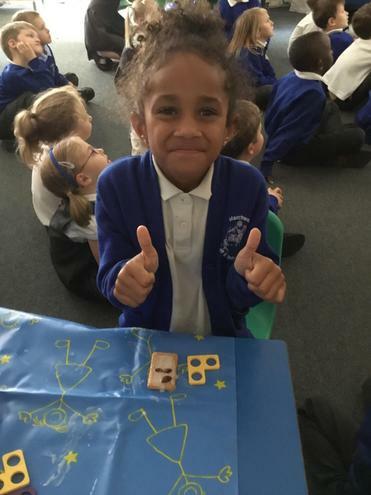 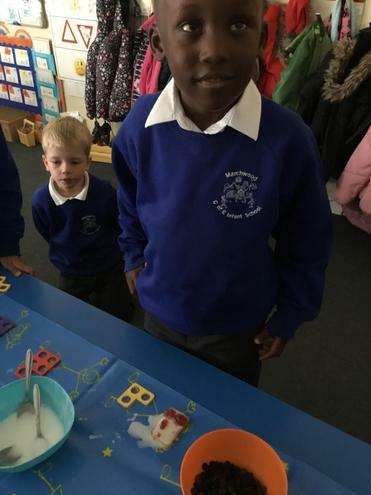 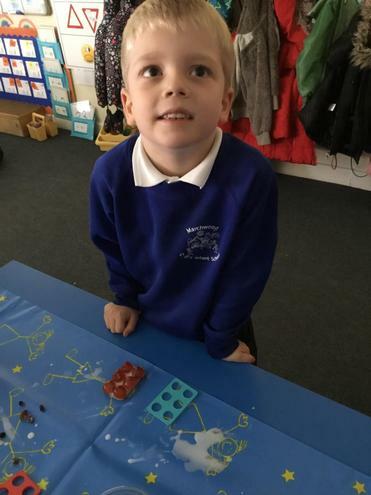 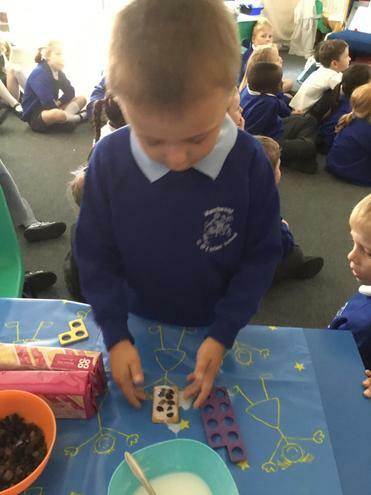 For Golden Time this week, the children voted and chose to make Numicon biscuits. 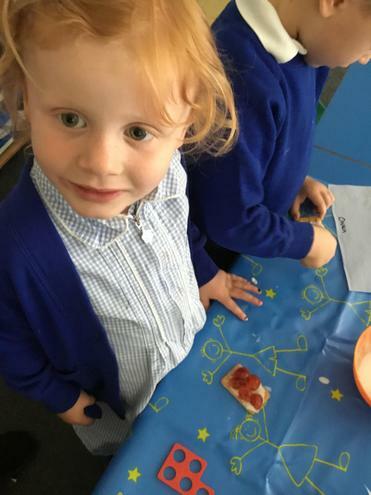 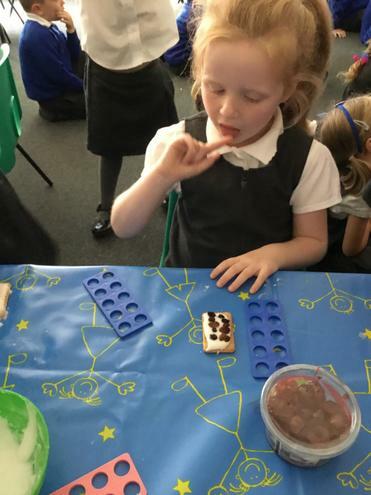 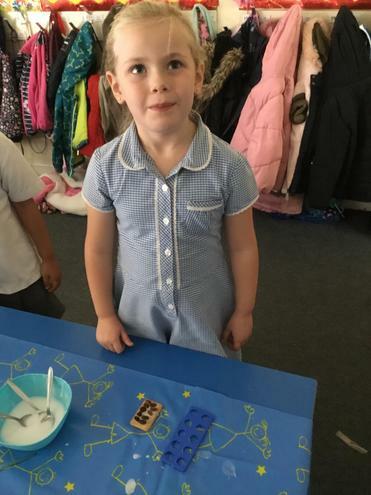 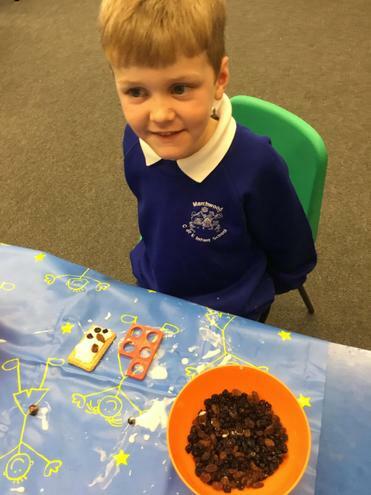 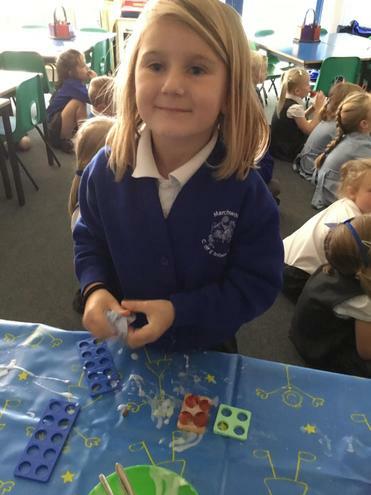 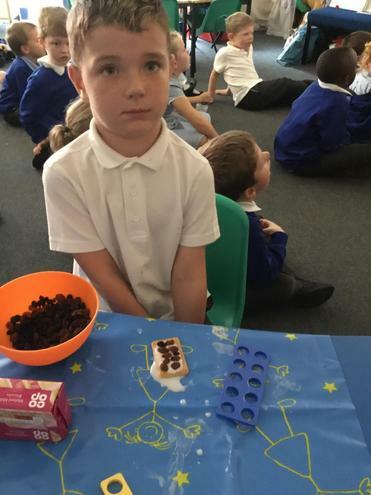 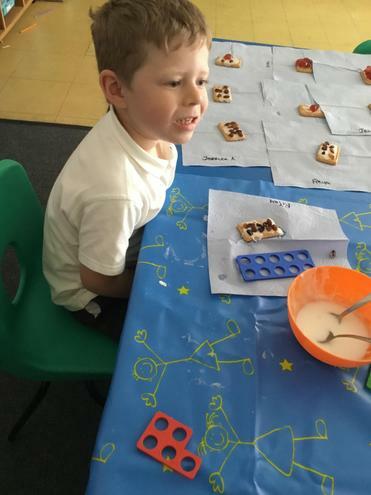 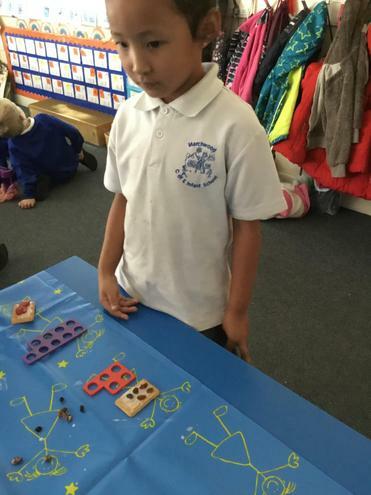 The children had to choose a real piece of Numicon that they wanted to replicate, and then tried really hard to carefully count and copy the pattern of the holes to make their delicious biscuits. 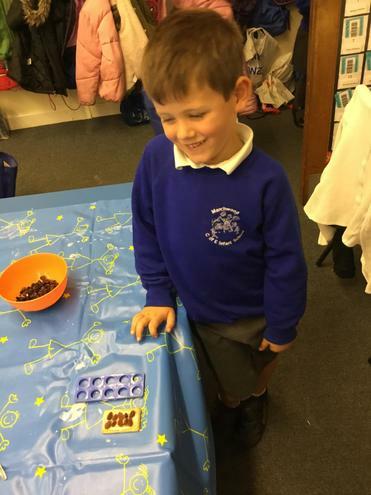 Who said Maths couldn't be fun? 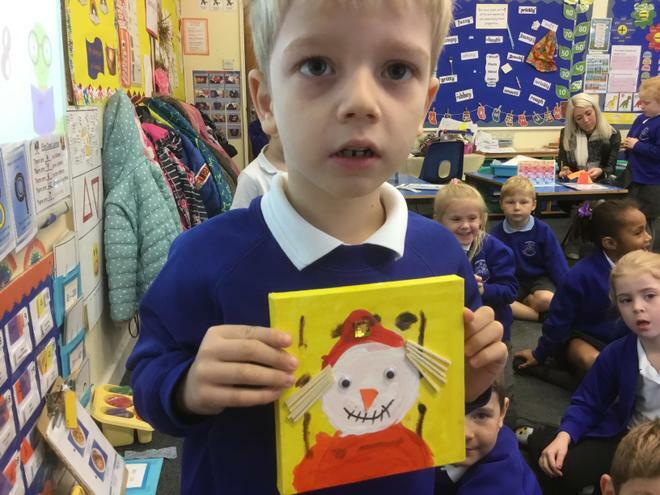 This half term our learning is based around the story of the Scarecrow's Wedding By Julia Donaldson and Alex Scheffler (the authors who also wrote The Gruffalo, Stick Man, Room on the Broom and many more wonderful children's books).